Having spent the better parts of 2012 and 2013 pregnant (wow, that sounds crazy just saying that out loud! ), I deem myself kind of an expert in the field of all things maternity. At this point, I know what works and what doesn't work. What's hype and what's necessary. So I thought I'd round up some of my favorite must-have maternity products and share my self-proclaimed wisdom with all of you! This is an easy one... ya gotta be comfortable, girl! Oftentimes, I wind up in a big ol' pair of David's sweat pants. But some days I want pants that are actually made for my body style, so a size-too-large pair of women's sweat pants will do the trick! Mustela Stretch Marks Double Action lotion I remember flagging this product (this was before Pinterest became what it is now) before I was pregnant from Natasha's blog. She claimed that this lotion did wonders to prevent stretch marks during her pregnancy and hell-o was she right! Seriously, friends... I had zero stretch marks during my pregnancy with HDawg and I'm on the same path so far with baby #2. And I owe it all to this lotion! a basic maternity tank top Any regular top can instantly be transformed into a maternity top when you pair it with a long maternity tank top underneath. At least that's my motto! I have several of these tanks in different colors and pretty much wear one every day. a good water bottle Momma's got to stay hydrated and you might as well do it in style. I love this Tervis Tumbler (you can obviously pick your favorite team, monogram or other logo) because it keeps drinks cold and spill-proof. I can throw this bottle in the bottom of my purse and not have to worry about it! I typically wear heels to work every day, so even when it comes down to being super pregnant, off-balance and overall tired, I have a hard time transferring solely to flats. Enter a good wedge heel. They're so much more comfortable, provide great support for my preggo feet and are still pretty cute! For the winter, you could even switch it up to these wedge boots. 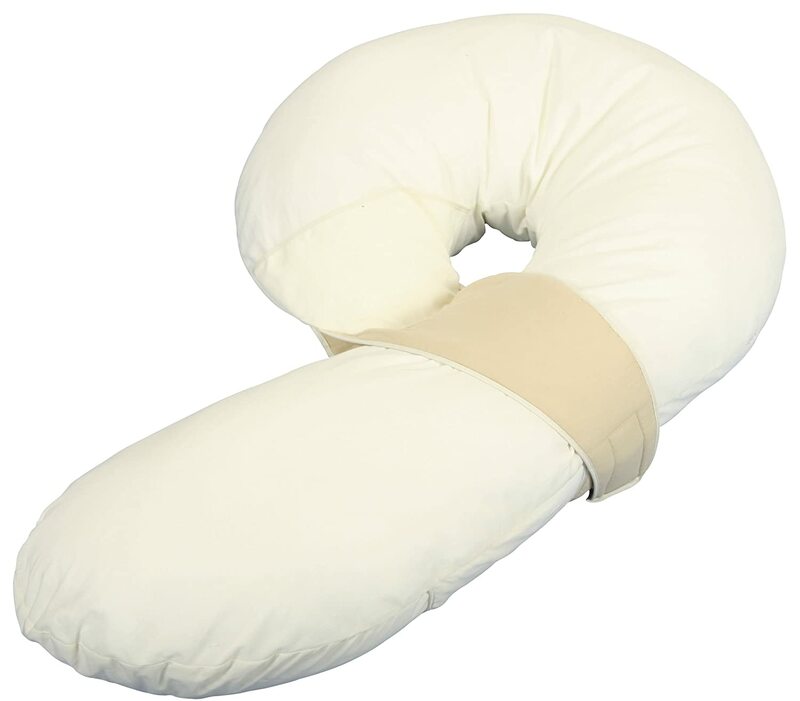 a comfortable body pillow I actually just use a standard (non-maternity) body pillow but it has definitely become a staple third party in our bed every night. Hey ohhhh. Seriously, a pillow between my knees helps prop up the belly and keep everything comfortable. I couldn't sleep without one! 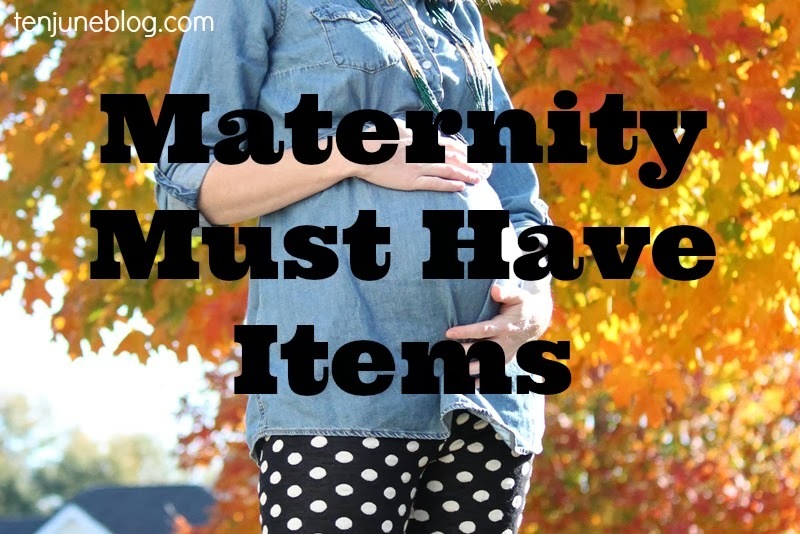 Besides the obvious items I'm missing... bags of Hershey's Kisses, cups of half-caff coffee and vats of Chick-Fil-A waffle fries... this is a pretty inclusive list of my favorite, must-have maternity items! Do you have any other must have items to add to the list? Mmmmm... Chick-fil-A waffle fries. Happy place. Love your blog! I decided after my first baby that my next pregnancy I would go buy one of those back massagers from bed bath and beyond. My back killed my entire pregnancy, especially toward the end! I just happened to be in that store and I sat in one of those things and it helped SO much! I told my husband, the day that plus sign shows up again, that is how I will celebrate. Definitely a necessary purchase in my opinion. And I agree with all yours! Oh, also either shorts or pants with the full belly panel. It was all I wore the last 3 months of pregnancy! So much more comfortable! Staying moisturized is great for your skin, however the reason you don't have stretch marks is far, far more likely to be down to genetics than any product. Period. Definitely investing in that lotion whenever the time comes! Couldn't agree more with all of your picks and so glad you love the Mustela cream...definitely a lifesaver!! I'm going to admit that I hate you a little bit for not having any stretch marks. ;) My stomach looks like somebody scribbled all over it. I asked about creams, but my doc says it's all genetics. You are one of the lucky ones! It's definitely not the cream that doesn't give you stretch marks. Maybe it helps, but it's all genetics. Although I don't have any myself, it's not something I feel necessary to talk about. Talking about women's bodies is a sensitive subject especially after pregnancy and it kind of made me twinge when I read your comment above. And, I've seen women with stretch marks (and in bikinis) who I don't think anything less of just b/c they have them and it doesn't make me think "she shouldn't be in a bikini." Most women with them still have awesome bodies!